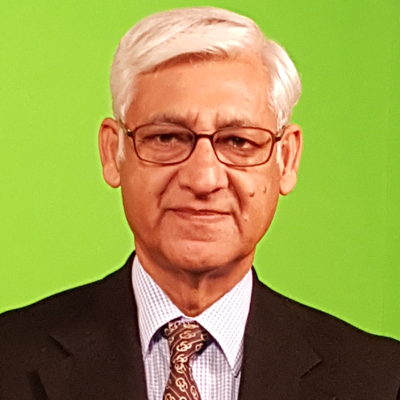 Professor Dr. Naveed A. Malik is the founder-Rector of the Virtual University of Pakistan. Dr. Malik obtained his Master’s degree in Physics from the University of the Punjab, Pakistan and later the Doctor of Science degree from M.I.T. in the field of Electrical Engineering and Computer Science specializing in Digital Signal Processing. As a staff member at the University of the Punjab, Pakistan’s largest and oldest university, he established the Spark Source Mass Spectroscopy laboratory at the Center for Solid State Physics and later, became the founder chairman of the Department of Computer Science. He was the principal architect and developer and of the Punjab University’s computerized examination system and was also responsible for the design and implementation of the University’s fiber-optic campus-area network that was commissioned in the year 2000. From 2005-2012, he was the Principal Investigator for two IDRC (Canada) funded Asia-wide research projects on distance education that resulted in the publication of several books and many scholarly articles. He was the principle consultant for establishing Concordia Colleges, a venture of Beaconhouse Schools, Pakistan’s largest private school network. Concordia Colleges introduced blended learning, closely modelled around the MIT-BLOSSOMS model, at the high school level for the first time in Pakistan. He has lectured extensively, has been an active systems and software development consultant and has published several papers on various technical subjects. He is a life member of the Pakistan Institute of Physics and was awarded the Pakistan Civil Award of Sitara-e-Imtiaz in 2008 for services to education.